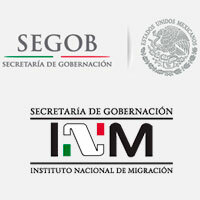 The INM is responsible for regulating the entry and departure of travelers into and out of national territory. Presentar pasaporte, visa, y Multiple Immigration Form or Residence Card, según sea el caso. Conservar su forma migratoria. Coordinator: 5133- 0020 Ext. : 32303. Authorizations and issuing definitive departures. Replenishments FMM for purposes of leaving the country.